Limited time offer for Home Cleaning in Austin -- 30% off your first booking! Hi There, My name is Ariana V. I have been professionally cleaning homes and businesses in Austin and the surrounding areas for 3 years. My clients always tell me about my attention to detail and eye for organization. Hire me and I will make sure that you are always satisfied and happy with your cleanings EVERY time! If you're looking for professional house cleaning services in Austin, you’re in luck. Handy has already helped arrange millions of house cleanings for satisfied customers across the US, including Austin! The home cleaners on the Handy platform are passionate about keeping homes and apartments clean. We aim to connect you with the best home cleaning services in the city, from apartment cleaning to housekeeping services. Awesome job man, thanks. People tend to cancel on me, I guess because of location, so I appreciate you showing up and crushing it. Thank you so much, you did an amazing job and the place looks great! I apprexiate you staying longer than expected to finish the kitchen! Elsie was great! On time and very professional. Did a great job cleaning my place. Would definitelh recommend! Fantastic and I appreciate the extra things you did in my home plus signing for a package for me. Thank you! Ashley is the best professional I have had ! She was extremely friendly, upbeat, great communication and extremely thorough in her cleaning! 3rd booking with Elizabeth and she does a great job. Floors and surfaces always spotless and good attention to detail. look forward to more. Great work today you are always welcome back my wife was super excited by how great the house looked. She was great, could've been little quicker in the kitchen but overall very satisfactory! Thank you! Why choose Handy for booking house cleaning in Austin? We’re very affordable. You’ll find professionals on the Handy platform are cheaper than many other home cleaning services in Austin. We believe everyone deserves a clean home. All home cleaners and maids on the Handy platform are experienced professionals who are all background checked for your assurance. You can also book a maid service for a full house cleaning, so everything will look clean as a whistle when you get home. Just use our website or the Handy app to search for your nearest top rated Handy house cleaners in Austin. House cleaning booked through Handy comes with the Handy Happiness Guarantee so that you can have peace of mind. Plus, you can even ask our housekeeping or maid service to prioritize different tasks or avoid using any particular cleaning products you might be allergic to, so all your concerns should be addressed. 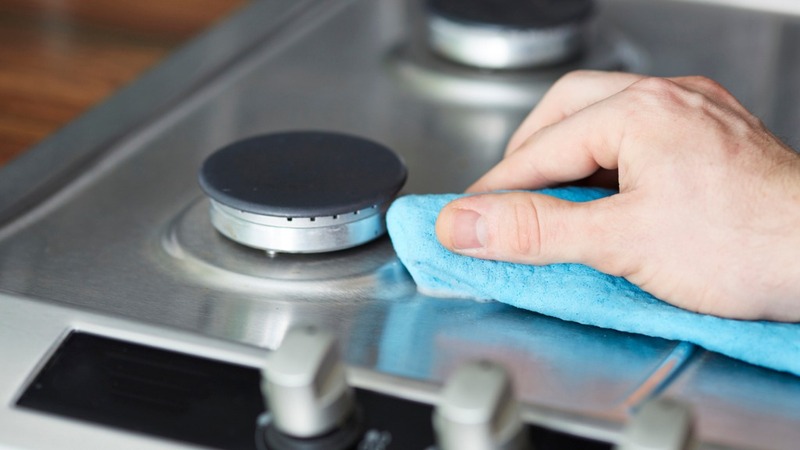 In addition to standard home cleaning in Austin, we can also arrange extras like deep cleaning of fridges, ovens, cabinets, interior windows, and laundry, which you can book for just a small supplement. Who can use the Handy platform to book home cleaning services in Austin? Our professional house cleaning services are perfect for anyone who loves to live in a clean, comfortable home. It doesn't matter whether you live in Windsor Park, Barton Hills or East Austin, our service is open to all Austin residents. Perhaps you’re living in a big house share and need a maid to come in once a week to help you sort through the clutter. Or maybe you're a family in Allandale looking for a home cleaning service or a thorough house cleaning several times a month. Just select a time for your house cleaning, book instantly, and we’ll connect you with a pro from the Handy platform who can arrive as soon as possible. When you schedule our home and apartment cleaning services, your cleaning lady (or cleaning man) will start and finish at the times you've chosen. That means any disruption to your daily schedule will be kept to a minimum. We do have roach traps around the apartment. You can move them while you're cleaning, but please put them back where they were when you're done. Thank you. In the Master Bathroom closet we will have two dogs kenneled so please don’t go in there. Door will be shut. Empty the trash cans and pick up any dishes in my office and bedroom is all I ask for there. My daughter's bathroom is currently being remodeled so no need to clean the tub. Ok to clean her sink and toilet please. The state capital of Texas, Austin has been ranked by U.S. News & World Report as the top place to live in the country. Why? Because of its very low unemployment rate, relatively low cost of living and excellent shopping. It’s hot from June through September, which is why many Austin residents go swimming at the beautiful spring-fed Barton Springs Pool near Barton Hills and Zilker to cool off. Now imagine how many extra hours you could spend here if you let the best cleaning service in Austin take care of your cleaning chores all summer long? Or think of all the time you could spend hiking around Lady Bird Lake or taking the family to Austin Zoo instead of mopping and vacuuming? Professionals on the Handy platform who provide home cleaning to Austin will enable you to do the things you enjoy, from dining out to shopping. When you’ve had a busy day at work, it’s tempting to sit back and relax, even if you’ve got lots of cleaning chores to do. With our professional house cleaning services in Austin, we'll make sure you can unwind after a hard day at the office. Our goal is to be the provider of some of the most professional and cheapest home cleaning services in Austin. Book home cleaning services in Austin through Handy for a deep clean or general apartment cleaning. When you let a Austin home cleaner take care of all those tedious cleaning tasks, you get more time for leisure and relaxation. Just book your Austin cleaning service online or using our app and look forward to a clean and tidy home.